Over the past month, there have been two different devices targeting people who hate needles. If that sounds like you, listen up, because one could be on the market next year. Tasso is creating a device that vacuums a small blood sample when held against the skin for two minutes. The idea is to make sampling less painful and more convenient. 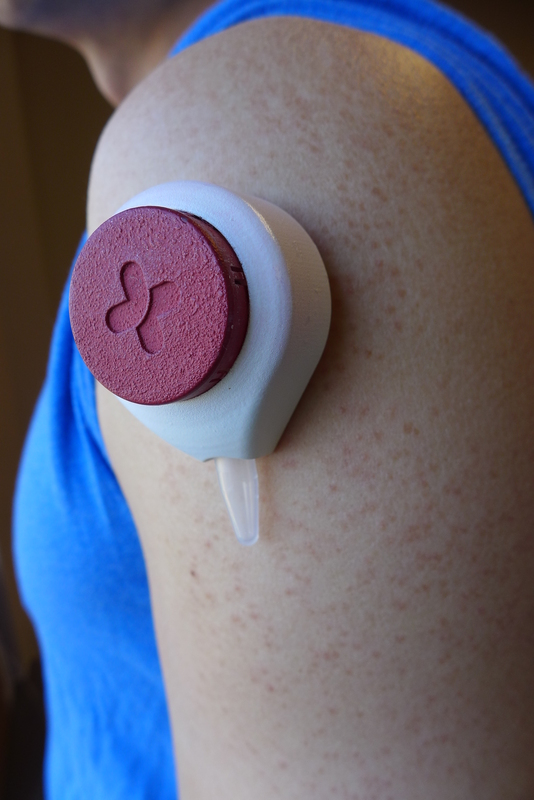 This prototype device is being developed into a fool-proof, almost painless way to draw blood samples by Tasso, formed by students of the University of Wisconsin-Madison. Image courtesy of David Tenenbaum/UW-Madison. The technology relies on the forces that govern the flow of tiny fluid streams and the blood collects in a sample that can be mailed off or brought to a lab. “At these scales, surface tension dominates over gravity, and that keeps the blood in the channel no matter how you hold the device,” stated Ben Casavant, vice president and co-founder of Tasso, in a press release. The company seems to be onto something with promise because the DARPA has just given Tasso an additional $3 million to fund work with companies that make blood preservatives. It also has funding from the National Institutes of Health to develop a method to diagnose HIV. Tasso’s target audience are people who need tests regularly but not frequently as well as those who fear getting their blood drawn by more traditional methods. If all goes well, Casavant says, the company will send its application to the FDA at the end of 2015, and the device will reach the market during 2016. Three freshmen engineers at Rice University have created a 3-D printed device that numbs skin before an injection. The team has a functioning prototype that can cool a small area in about one minute, which is significantly shorter than current numbing methods, such as creams. In a YouTube video, the creators explain their device is targeted to those who are more sensitive to pain, like kids and the elderly, and for sites where injections hurt more, like the face or groin. . According to a Rice article, the freshmen specifically designed the device not to be reusable because injections are such a common procedure. Luckily, they created the device with relatively common and inexpensive materials, and each one costs about $2 to make. The team is applying for a patent, and they are open to continuing the project and perhaps starting a company. As a mom, I would love this for my kids! Right? It makes me wonder why people didn’t think of these things sooner. Seeing your kids get poked is the worst! And to top it all off, they want you to help hold them down. The initial reaction is a silent cry because they can’t catch their breath, and then they scream. It’s the saddest thing.